South Boutique Opens Its Doors In Jones Valley! South Boutique is officially open in Jones Valley! After getting the chance to interview South’s shrewd and trendsetting owner Anna Spruiell last month, we just couldn’t wait to take a trip down to Jones Valley and see their newest location for ourselves! Here are just a few images we took while we were there! Interested in stopping in yourself!? South Boutique is located at: 2785 Carl T. Jones Drive, Huntsville AL 35802 across the street from the Valley Bend shopping center. The store is open: Monday-Friday 10am-6pm and Saturday 10am-5pm. Get Excited Huntsville Because Southern Sensation South Boutique Is Coming To Jones Valley! It’s hard to believe that in just 3 short years Anna Spruiell has gone from opening her very first boutique in Trussville Alabama to becoming an international southern boutique sensation. After graduating from the University of Alabama in 2009, Anna spent some time in Charleston, South Carolina, working in a boutique. When the boutique became available for sale she considered buying it, but decided to move back home to Trussville instead. But the boutique had sparked an idea in her. So it’s no surprise that when searching for a name Anna settled simply on “South”. “I just put “Boutique on it so people will know what we are,” She said. “The southern influence is very important to me and a crucial part of the store. “We try to carry things that are new to Alabama in order to give our customers something interesting and different that they can’t find anywhere else,” said Anna. And so far that formula has been working out quite well for her. “Within the first month, I had paid back everything I had taken out [to open the first store] and already made a profit,” she said. More than that, once the store was fully up and running they began selling out of things within 24hrs. The store quickly outgrew its 1,000 SF space in Trussville and opened a second boutique in Birmingham complete with a warehouse space to support their growing all their online business, and a photo studio that allows them to utilize instagram to share their newest finds, something Anna credits much of her business success to. “If we didn’t have Instagram, we wouldn’t be in business.” With over 13,500 followers from around the world, South boutique has certainly managed to harness the power of the photo-based social media platform. And now for their third addition to the South family, the boutique has decided on Huntsville, Alabama! Carrying a wide variety of items from rompers and dresses to jewelry and totes, South Boutique carries something for every budget and women of every age. The store also has a selection of fashionable college game day wear for loyal Alabama and Auburn fans, and their own custom line of candles with southern inspired scents like: Gunpowder, Antebellum and Sweet Tea. And to ensure a selection their customers won’t find anywhere else, Anna and her team make frequent buying trips to Las Vegas, Atlanta and New York to keep their selection fresh and up to date. All images courtesy of South Boutique. 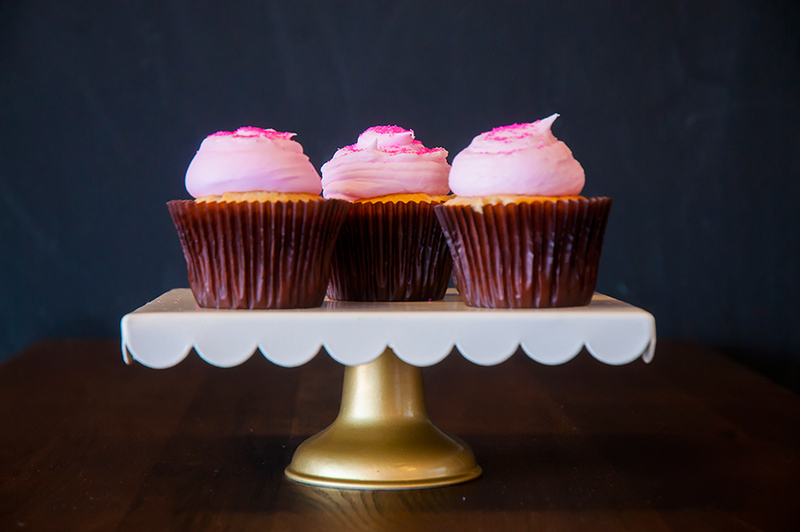 Take 1 booming national franchise, combine with 1 enthusiastic franchise owner, mix together with 200+ cupcake flavors and sprinkle around to excited Huntsville residents and we have the perfect recipe for Huntsville’s newest treat, Smallcakes: A Cupcakery. Haven’t heard of Smallcakes? You’re not alone. Business Insider named it the No. 3 fastest growing restaurant chain that “you’ve never heard of” in a June 18 story highlighting 10 fast-growing, little-known franchises. Founder Jeff Martin, who will attend the grand opening, has been featured on the Food Network’s “Cupcake Wars” for seasons one, two and seven. The Huntsville location makes the third location in Alabama with other stores in Opelika and Oxford. Around the country there are more than 90 stores in 19 states and it generated $39 million in sales in 2014, according to the Business Insider article. What really struck Marks as unique was that each batch of cupcakes is completely hand made. Marks can get plenty of meditation in each day with 12 core flavors made everyday and an assortment of seasonal and featured flavors entering the mix on a rotating basis. The core flavors include Choco-Holic, Cookies-N-Cream, “Famous” Red Velvet, and more. Marks said she is working on having signature Alabama and Auburn cupcakes that will be available at least during the fall as well. While it is hard to pick from the 200+ flavors, Marks’ favorite of the seasonal flavors is currently the Millionaire which has banana and pineapple and she is also partial to the cupcake milkshakes. The rest of the menu will include: Cake truffle / cupcake pops; cupcakes in a jar that can be shipped; cookies; whoopie pies and whoopie sandwiches. They also offer gluten-free options as well. Marks hopes to open a second location in Madison in the future, but isn’t looking too far beyond that for now. Smallcakes is located at 2000 Cecil Ashburn Dr SE in Huntsville Alabama and is open from 10am-8pm. EVO Fitness joins Legacy Marketplace! Crunkleton & Associates is excited to announce that EVO Fitness will be joining Legacy Marketplace in Jones Valley! Direct from Hollywood California, EVO Fitness offers the hottest fitness craze created by Sebastien Lagree, utilizing his patent-pending Megaformers. The studio incorporates strength training and cardio-intervals to maximize your workout. Dubbed “Pilates on crack,” the workout combines the key elements of resistance and counter-resistance. Clients are able to encourage maximum muscle exertion in an exhilarating, yet, low-impact environment. The studio plans to host their grand opening April 4th from 11am-2pm. They will be offering refreshments, one-on-one conversations with all their staffed trainers and showcasing different exercises on the machines. In addition, they will be holding drawings and raffling off free sessions in addition to various other items. Be sure to follow them on: Facebook and Intsagram!